Are you and a group of friends looking for the perfect place to spend a relaxing afternoon? How about Clermont’s own Historic Village? 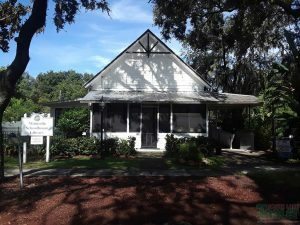 Located at 490 West Ave., on the shores of beautiful Lake Minneola, the Village is home to 5 historic structures and 2 replicas that show what life was like in Central Florida between the late 1800’s and the end of World War II. The Village is open every Friday from 1 pm to 3 pm and every Saturday and Sunday from 1 pm to 4 pm. Admission is free but a donation of $2.00 per person is requested. If you would like to make arrangements to tour the Village with a group of friends during the week when it is not usually open, simply call our manager, Roxanne Brown, at 352-432-3496 and leave a message. Someone will get back to you and schedule a time that is convenient for you when you can enjoy a relaxing afternoon of shopping, learning about life in Florida 100 years ago and even having a delicious meal at one of the city’s exciting & tasty restaurants. There is a fee of $2.00 per person for private tours. If you are interested in history in general or the history of Lake County in particular, contact the South Lake County Historical Society by going to our website, ClermontVillage.org; by calling our manager, Roxanne Brown, at 352-432-3496 or by attending our membership meetings which are held on the second Monday of every month at 7 pm in the Train Depot in the Historic Village. The next meeting is May 13th.